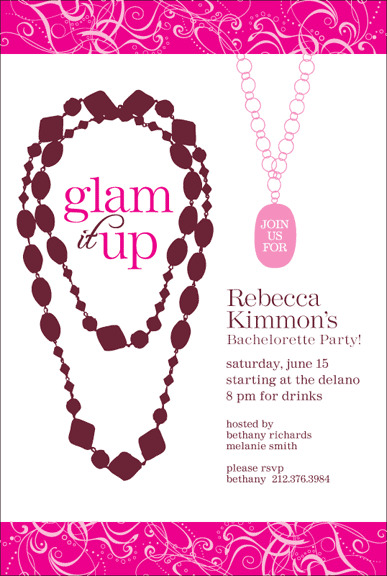 Hosting a jewelry or shopping boutique party? This fun and fashionable invite sets a hip tone to your event. 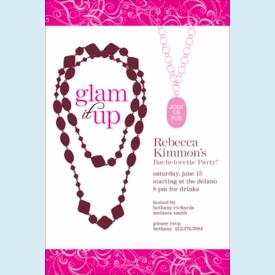 Pre-printed with "glam it up" in the necklace and "join us for" in the pendant. NOTE: Only 2 sets left!